While Saving Big on Energy Cost! Maintaining the right internal docking facility temperature is extremely important as continuous flow of air passing in and out from even the smallest of gaps and openings can cost you big in every sense of the word. 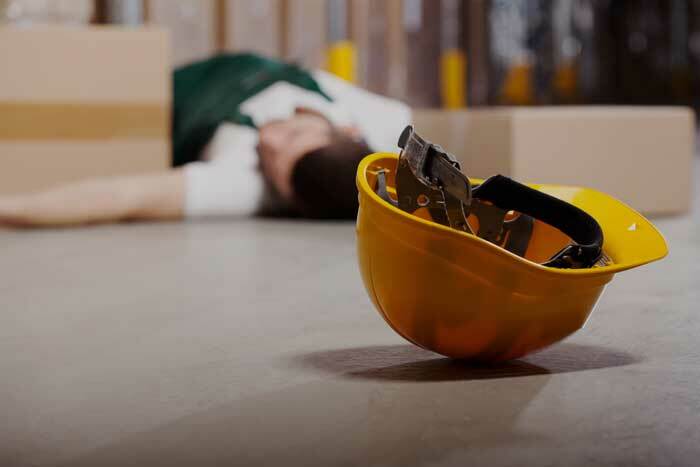 Your inability to maintain a suitable temperature and control air flow around your dock can lower your employee productivity, as hot or cold temperatures that infiltrate your facility can lead to employee discomfort which can impact their performance negatively. Also, due to small gaps, it takes more time for the HVAC systems to achieve the right temperature. 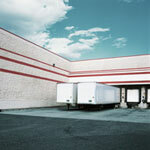 And running these systems for long hours can lead to skyrocketing energy bills. 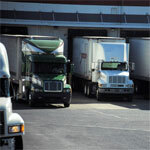 Besides this, employee safety and shipment security can also be at risk. The infiltration of snow through small openings can make the dock flooring slippery—making it absolutely unsafe for workers to move around, while the opening area between the warehouse and trucks can increase the risk of thefts and pilferage. 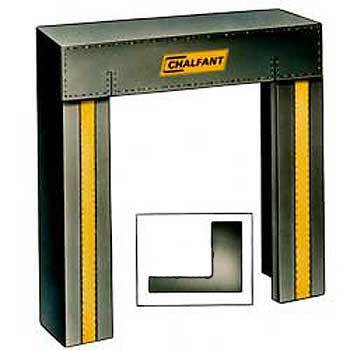 The best way to avoid these risks, experience superior air flow efficiency, while saving big on energy cost, is to install high quality loading dock seals from Chalfant Dock Equipment. 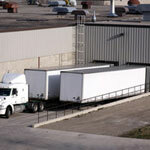 By installing dock seals, you can create a tight closure between the loading dock and trucks. This air tight seal acts as an effective barrier against the weather elements, thus keeping your loading dock both productive and safe. 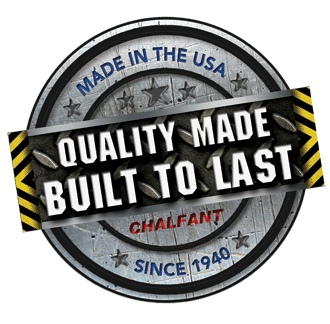 At Chalfant Dock Equipment, we understand that every shipping dock has different needs, therefore we don’t believe in one size fits all. We offer you the largest array of loading dock seals of different types which can be easily custom-designed according to your facility needs and requirements. More importantly, the seals we offer are of premium quality, excellent in performance and affordable in price. Also, all seals are created using resilient premium-grade polyurethane foam and beveled side padding is equipped with air vents to lower rupture and moisture build up. With this series of dock seals, you can seal common variety of over the road trucks. The ideal door size for this series is 8’x8’ and 9’x9’ while truck service range is from 12’0” to 13’6” high and around 8’0” to 8’6” wide. 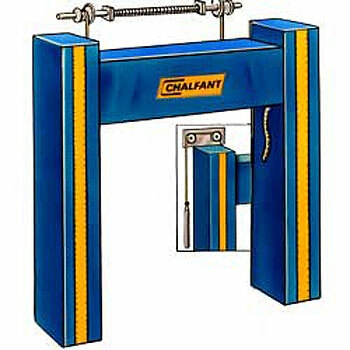 The 101 Curtain Seal Series is deployed with a 24 inch fixed head curtain. It is designed for doors that are higher than nine feet while the 103 Series features an adjustable curtain which is operated through the mechanism of touch and hold pulley. These hood style head curtain dock seals help in closing the rear of the trailer tightly. 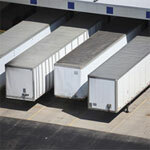 These seals can accommodate a wide variety of trucks. Engineered with an 18 inch tall metal back adjustable head padding, the Adjustable Seal Series offers superior sealing on a full-range of trailer heights. The head pad can be adjusted as needed, providing you with maximum flexibility. Also, the beveled side-pads help seal the openings tightly between the facility structure and the trailer, making it super easy to load and unload shipment at the dock, that too, quickly and smoothly. Please note that the adjustable head pad is counterbalanced by torsion spring and travels in tracks for utmost flexibility and ease of motion. 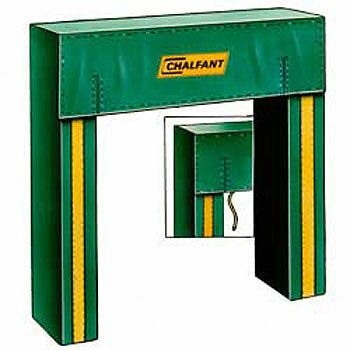 The Soft Seal Series boasts a cutting-edge design that works like both a dock seal and shelter. 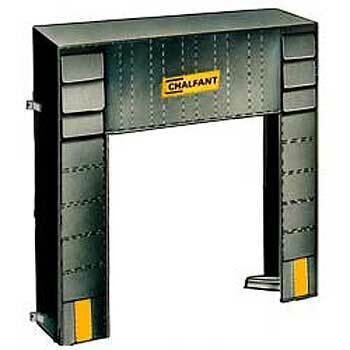 It has a dock shelter style curtain which provides complete access to the rear of the truck and also, yields under off center trailer impact that may result from improper positioning at the loading dock. The ideal door size for this series is up to 12’x12’. As the name suggests, this dock seal is L shaped. 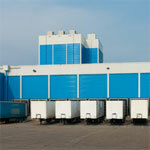 It provides a tight fit like a dock seal and projection similar to the dock shelter. These seals are best when you need full access to the rear of the trucks for docking purposes. 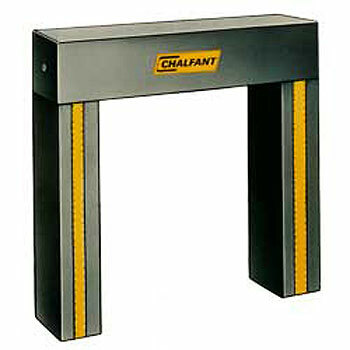 For unmatched security around the dock and to lower the risk of pilferage, the Guardian Dock Seal is the best choice. It features backing of high quality and unique foam with chain-link structure that surrounds the foam padding, ingeniously making it extremely difficult for robbers to cut through it and access the dock.